Saitama Souvenir Gift in Japan [Omiyage] ''Souka Senbei small size'' Soy sauce Taste Rice Crackers by Souvenir Gift in Japan [Omiyage] at Smokey Robinson Foods. Hurry! Limited time offer. Offer valid only while supplies last. The Japanese rice I have carefully baked. 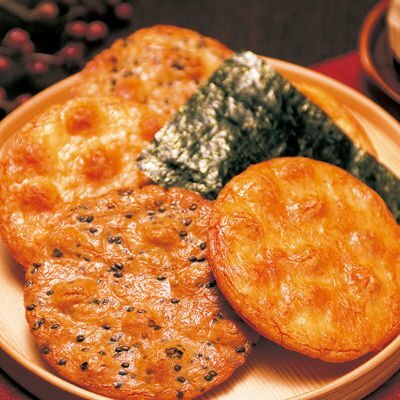 ''Hitomebore'' was immersed in water overnight the Japanese rice, such as, it was baked in carefully. The Japanese rice I have carefully baked. "Hitomebore" was immersed in water overnight the Japanese rice, such as, it was baked in carefully. If you have any questions about this product by Souvenir Gift in Japan [Omiyage], contact us by completing and submitting the form below. If you are looking for a specif part number, please include it with your message. Oriental Rice Crackers Mix, 3 Lb-Candymax-5% off purchase of 3 any items!